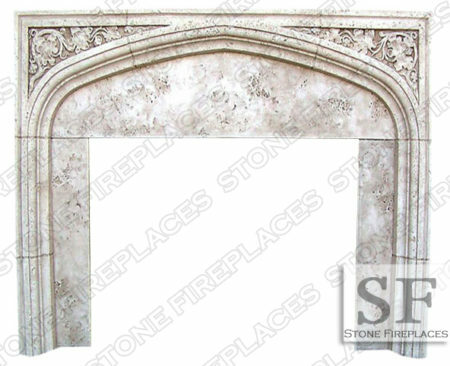 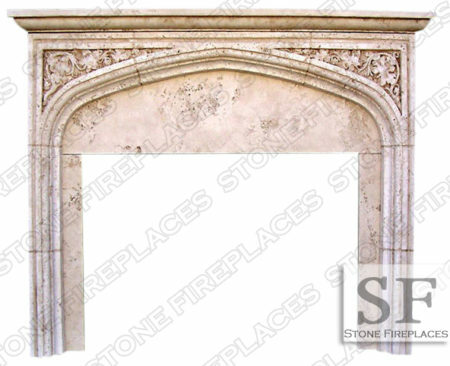 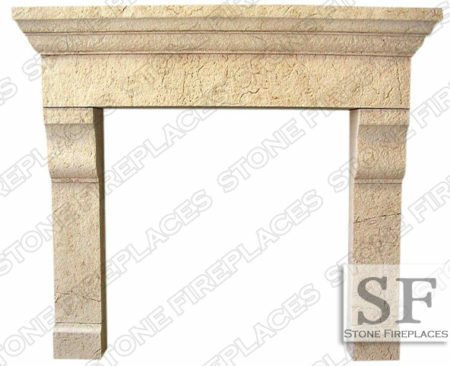 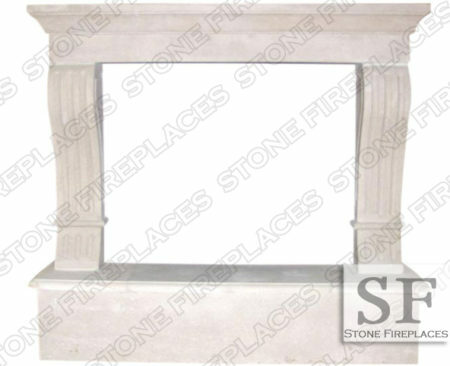 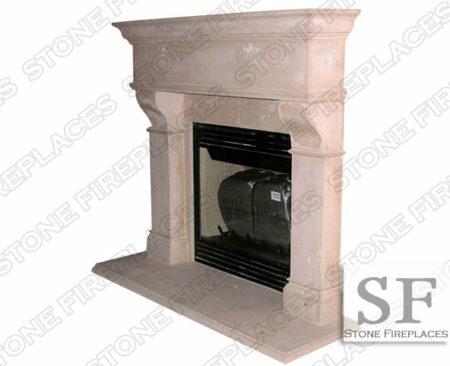 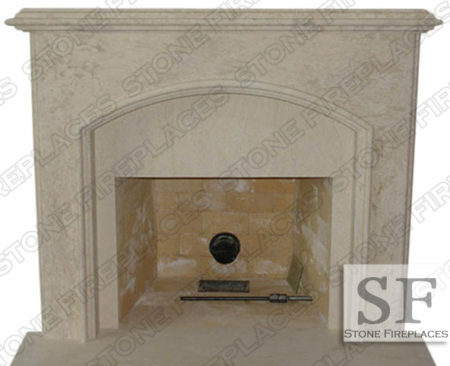 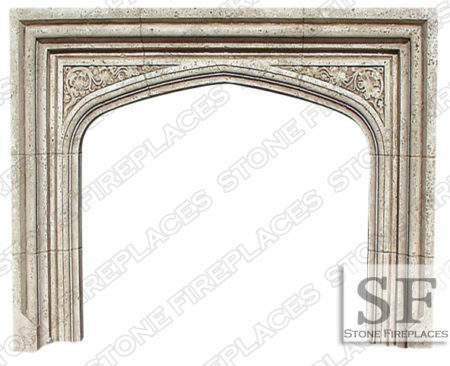 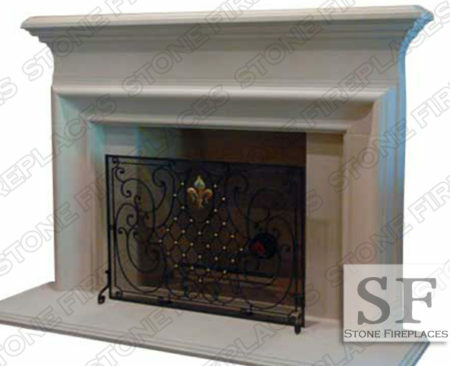 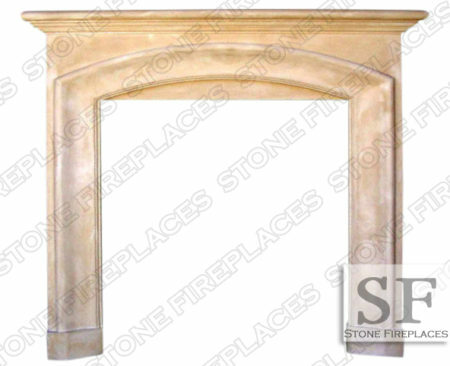 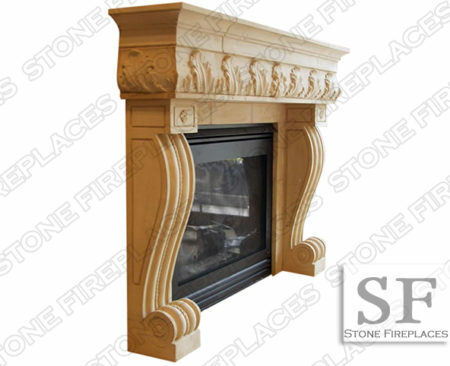 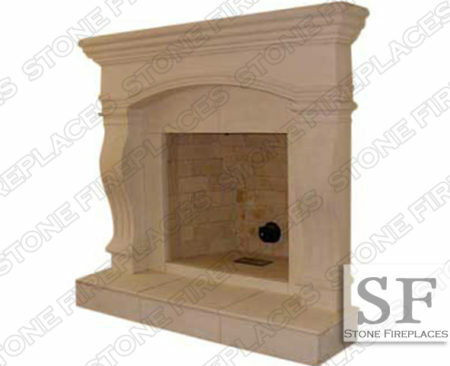 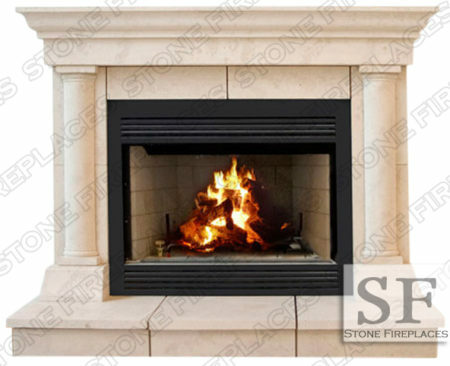 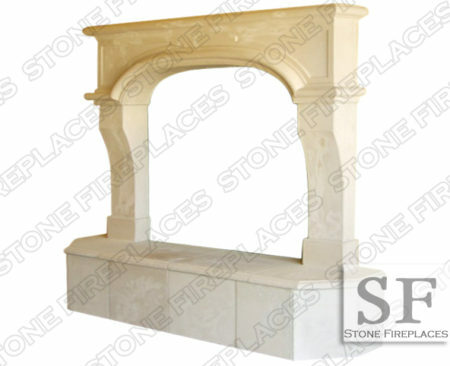 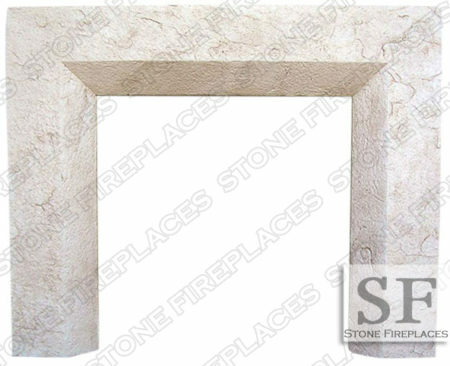 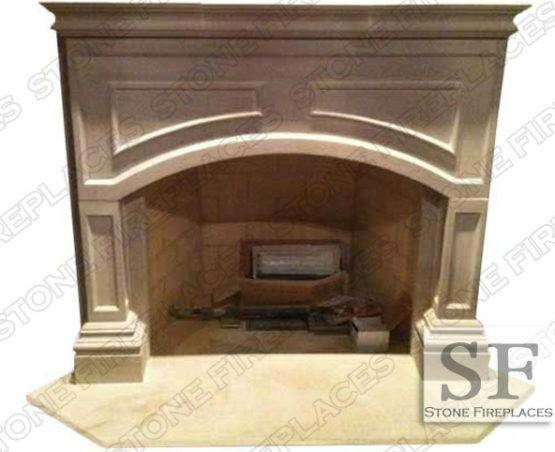 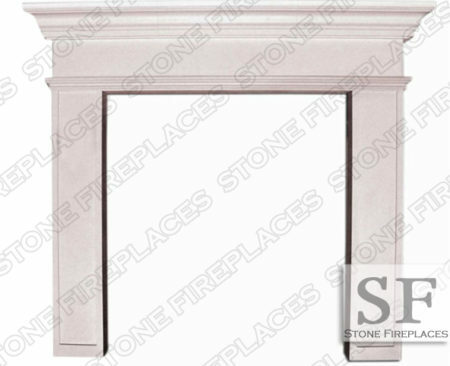 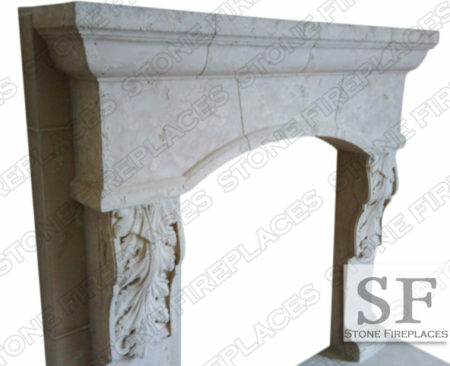 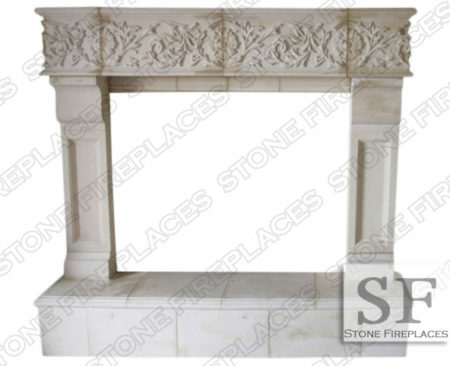 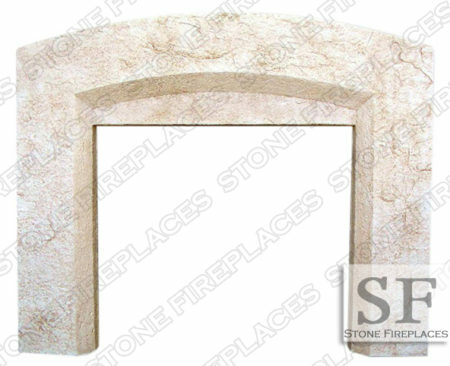 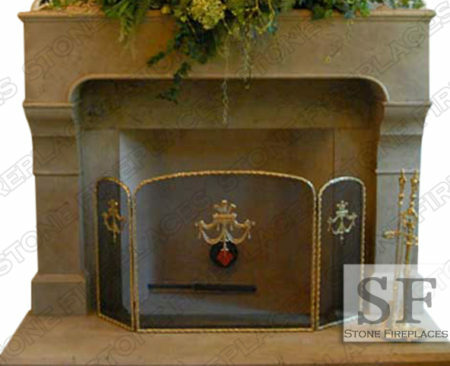 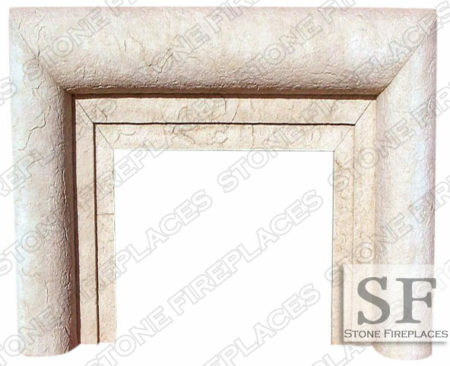 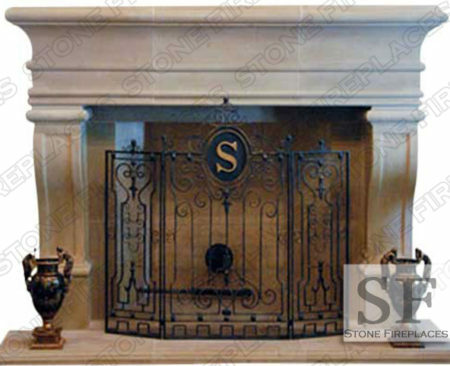 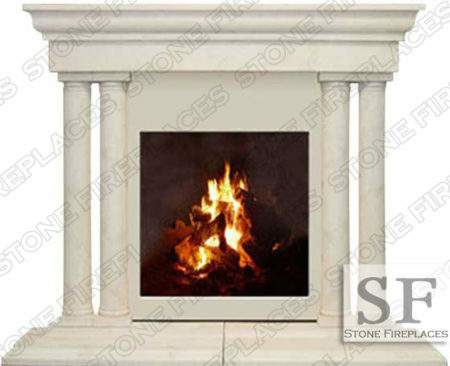 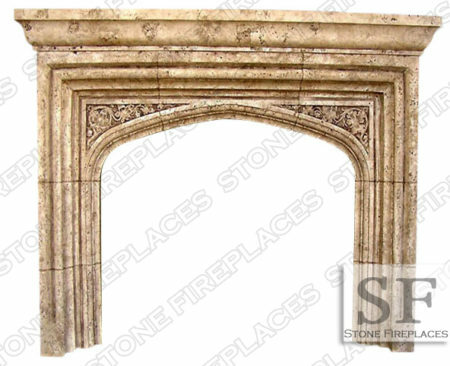 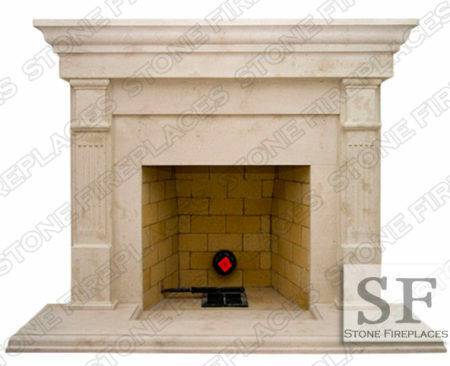 Traditional Lancaster fireplace mantel is a cast stone surround with straight lines and steps. 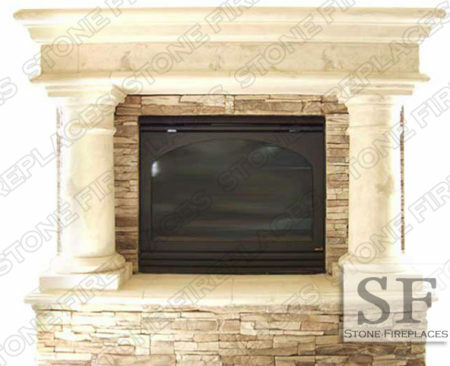 A cast stone fireplace surround with a contemporary feel. Custom hearth with step mantel shelf and paneled legs. 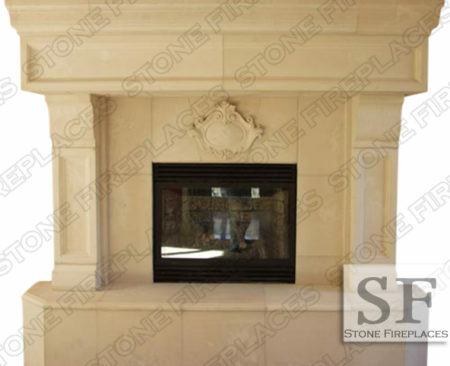 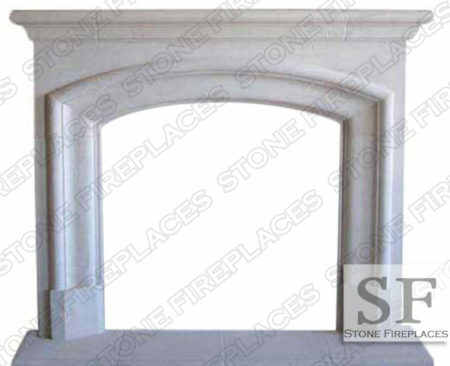 An example of an arched fireplace opening installed in front of a square firebox opening. 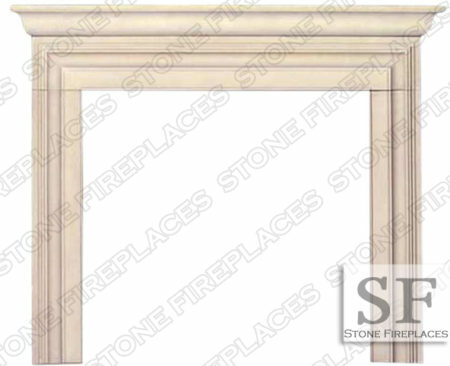 This mantel surround was installed into the corner of the office. 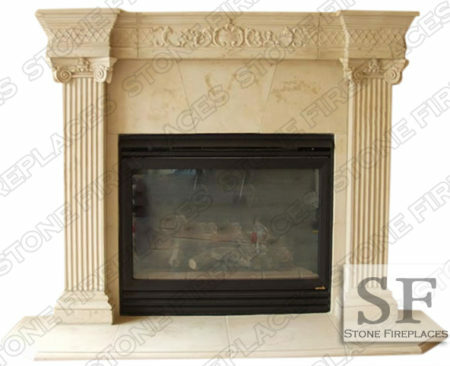 Add warmth to a room by taking up a corner if there is no available space on a wall. 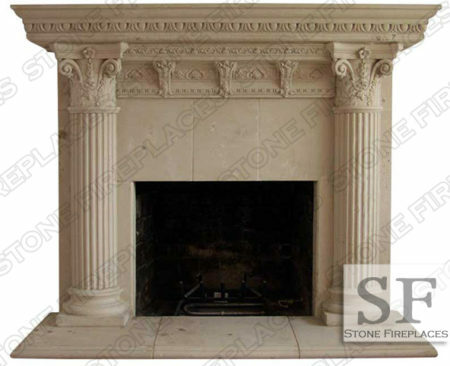 The Lancaster has a very Traditional English feel.